Toblerone signs are digitally printed direct to Correx® board, which due the fluted nature of the material is easy to score and fold to form a sturdy wrap or triangular display sign. 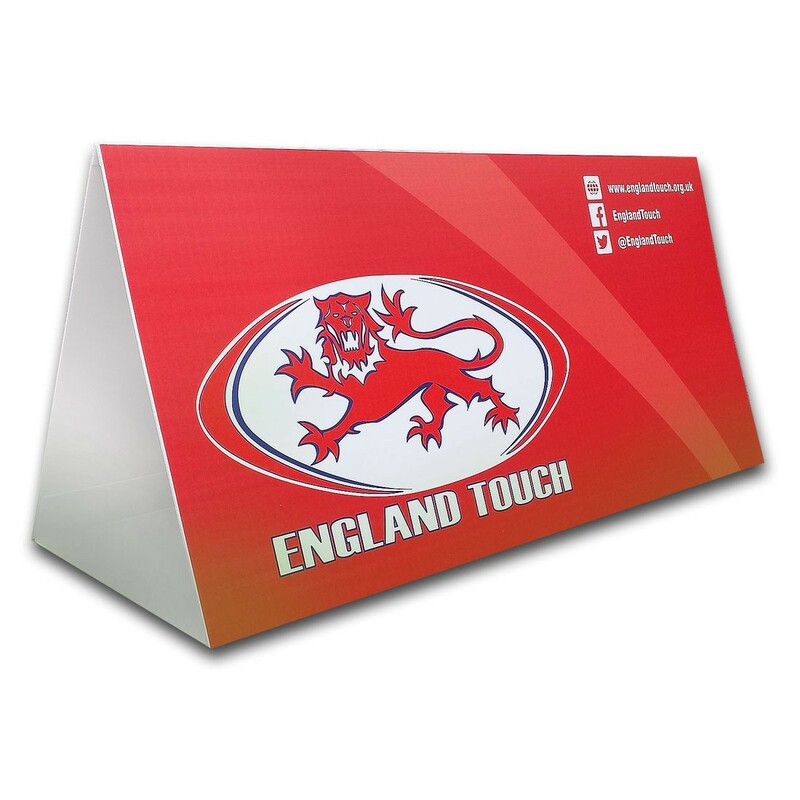 Ideal for indoor and outdoor usage, for vibrant point of sale and event advertising that is easy to set up and cost effective. Toblerones can be supplied 3 sided, or with 2 sides joined with by PVC strip on the reverse of the fold to allow the board to stand upright. What's the largest toblerone you can produce? The largest we can produce on a single sheet would be 3000m in length, with sides at either 500mm (3 sides) or 750mm (2 sides). When the board only has 2 sides it would be supplied with a PVC strip on the reverse. Bollard Covers, bespoke Correx® signage wraps available triangular and squared. Vibrant point of sale and event advertising, cost effective, easy to set up and ideal in indoor and outdoor use.